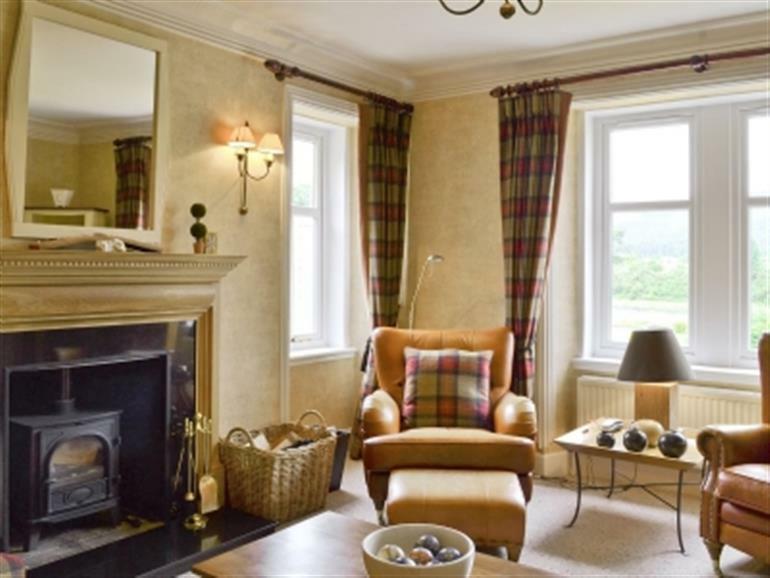 Benula Lodge, Ness Castle Estate in Inverness sleeps 7 people. Benula Lodge at Ness Castle Estate in Inverness has river views and a wealth of glorious countryside making this a perfect place for a relaxing break. Ness Castle Estate lies in the heart of magnificent game fishing and golfing country, and with lovely walking on the door-step, Benula Lodge is an ideal location for nature lovers and sporting enthusiasts alike. River Lodge (ref SYYA [River Lodge]) is a magnificent, detached, ‘Colorado’-style lodge providing complete relaxation and seclusion for larger parties. For smaller parties, Weir Cottage (ref SXXS [Weir Cottage]) and Red Squirrel Lodge (ref SYYB [Red Squirrel Lodge]) are single storey and adjoin one another, whilst spacious Ghillie’s Lodge (ref SYYC [Ghillies Lodge]) and Benula Lodge (ref SYYM) stand detached. 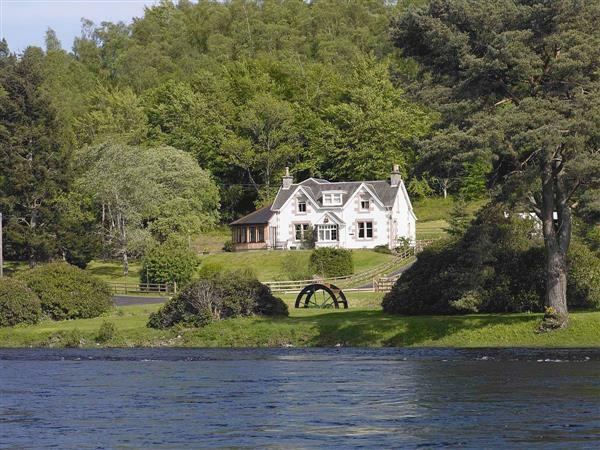 All have river views and are just minutes away from the city of Inverness. Culloden Battlefield, Cawdor Castle, Loch Ness cruises and dolphin spotting on the Moray Firth are among the myriad of delights within easy reach. For those wishing to explore a little further afield the magical Isle of Skye, visiting the beautiful, romantic Eilean Donan Castle on the way, or a leisurely boat trip to the Orkney Isles which offer beautiful, rugged scenery with an abundance of wildlife and many archaeological sites make great days out. Whisky lovers can visit one of the many distilleries on the famous Strathspey Whisky Trail, sampling some of the finest whiskies in Scotland. At nearby Inverness, visitors will find a wealth of historic and cultural attractions as well as good shopping, bars and restaurants. Salmon fishing, by arrangement is 1 mile. The Bothy lies on the estate where guests can dine; it is also licensed for weddings. By arrangement, guests also have the use of the shared hot tub, steam room and small gym, all located at The Bothy. For those wishing to explore a little further, day trips to the Orkney Isles, Isle of Skye and Glencoe are possible. The shop and pub 1 are both mile from Benula Lodge at Ness Castle Estate. Large living room with open fire. Dining room with wood-burning stove/well-equipped kitchen with tiled floor. Utility. Conservatory. Double bedroom with 5ft bed. Shower room with toilet. Separate toilet. First floor: Double bedroom with 6ft zip & link bed and en-suite bathroom with toilet. Further double bedroom with 5ft bed and en-suite bathroom with over-bath shower and toilet. Single bedroom. Shower room with toilet. For a better idea of where Ness Castle Estate - Benula Lodge is, you can see Ness Castle Estate - Benula Lodge on the map below. Do you want to holiday near Ness Castle Estate - Benula Lodge (SYYM), you can see other cottages within 25 miles of Ness Castle Estate - Benula Lodge; have a look to find your perfect holiday location.